My nephew turned six in June, and the obsession of the moment was Nexo Knights. 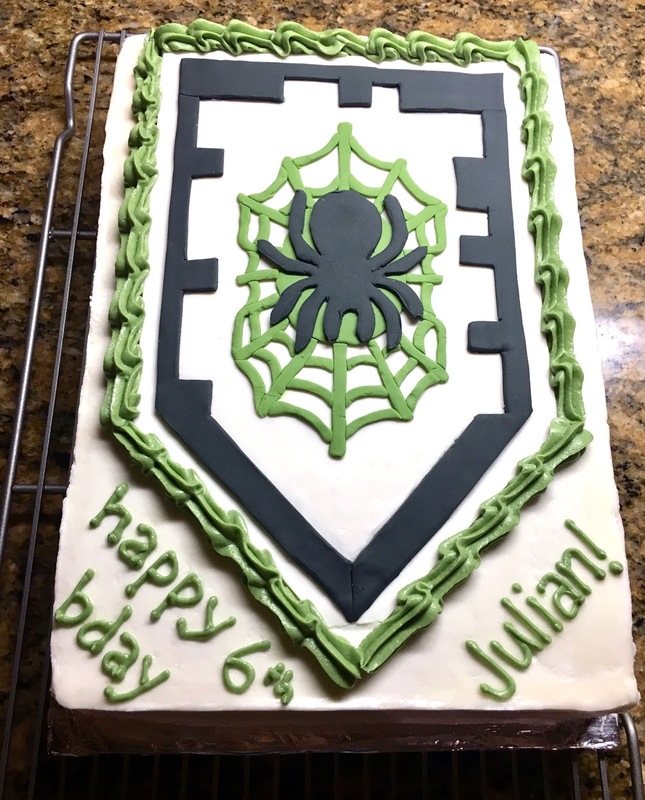 So I made him a Nexo Knights shield cake! This is a big fondant topper which I just placed right on top of a quarter-sheet (9x13") cake. I love how it came out, but I'll be honest that my sister-in-law and I purposely chose one that wasn't too terribly complicated! And on top of the cake.